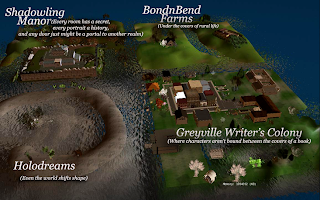 We're not a commercial grid, but we do provide regions where authors build story scenes, host role-play, and bring animated interactive characters to life. In return authors pay their share of the server cost, based on number of regions and type of service. In the respect we are more like a cooperative. 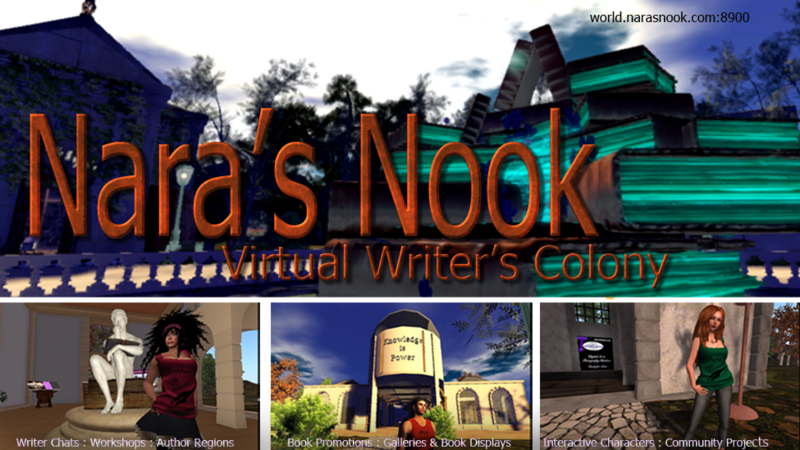 Nook members also pitch in to manage grid activities, help visitors, and run the website. Space for Hypergrid Story Build in Next Dim - Free for any hypergrid citizen with approved submission of story region plan. Single private instance that will support up to 4 standard regions or 3x3 var - 15.00 USD a month. The number of regions and amount of content an instance will support is directly related to the number of prims and scripts running in your builds. Old Greyville -- Nook's first region is still out there. Dankoville -- 3x3 var region from metaverse traveler, Danko Whitfield. 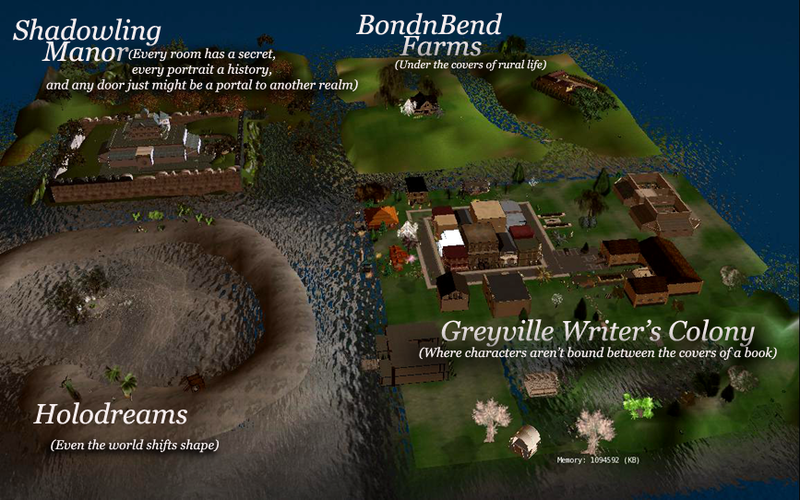 Quarterz Swamp, Quarterz City, Quarterz Wastelands -- Three regions supporting scene builds for Nara Malone's Game for Love Series. Shadowling Manor and Selkie Island -- Two regions supporting Nara Malone's Shadowling Therian Series. Siobhan Muir 1 (Cloudburst) -- Region supporting Siobhan Muir's Cloudburst, Colorado series. Siobhan Muir 2 (Coronado Beach Base) -- Region supporting Siobhan Muir's Bad Boys of Beta Squad series.